The Opportunities Realized Mini-Camp was held on Wednesday, March 27 from 10:00 a.m. to 4:00 p.m. local time. The site of this mini-camp was the Nashville Music City Center’s Exhibit Hall, as part of CORROSION 2019 — the world’s largest event for the prevention and mitigation of corrosion. 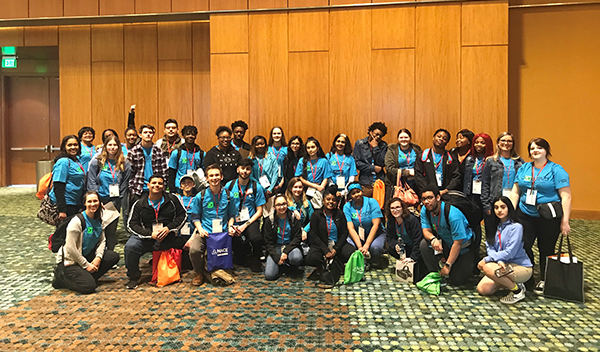 At this NACE Foundation-hosted event, Nashville students received hands-on education about corrosion and corrosion-related activities. Among the tools they had at their disposal was the NACE Foundation’s cKit™ (Corrosion Toolkit), developed in 2005 as a means of educating students and stimulating their interest in corrosion science and engineering. The students on hand learned about a variety of scientific principles directly relevant to the field of corrosion, including oxidation, thermodynamics, and electrochemistry. In addition, they had the opportunity to meet with industry professionals (including those from Covestro) and university students about research and career opportunities. The 2019 Frank N. Speller Award was presented to Dr. U. Kamachi Mudali. This award has been presented annually in recognition of his significant contributions to corrosion engineering since 1947. The Chairman & Chief Executive with Heavy Water Board in Mumbai, India and author of over 440 papers, Mudali gave a presentation on Wednesday in recognition of the award.